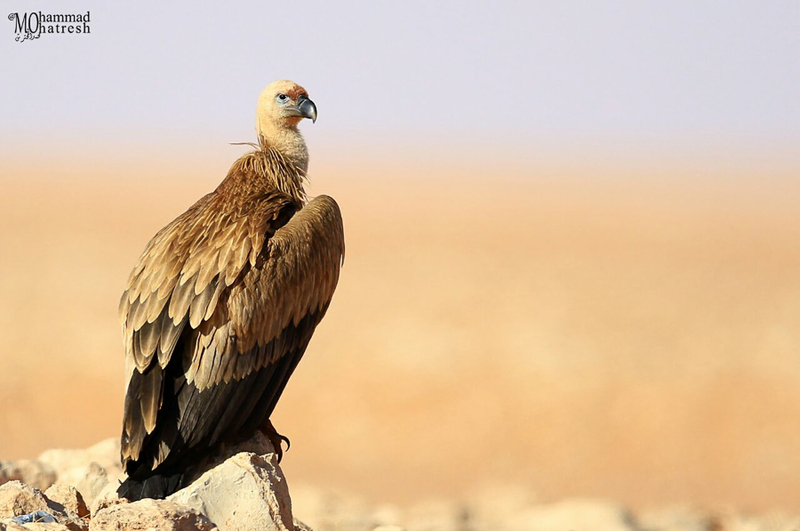 Eurasian Griffon Vulture Gyps fulvus is an uncommon breeding resident Hejaz, Asir and the Tihama that is scarce or rare in other regions. There is a small breeding colony near Riyadh. There are only six records for the Eastern Province and a few other birds wintering near Taif. Numbers elsewhere in Saudi Arabia have declined markedly over the last decade, in particular breeding birds in the southwest of the Kingdom. Mansur Al Fahad sent me details of four birds record by Suliman Al Mohatresh, about 30 km east of Zulfi in early November. This is a good record as numbers are in significant decline. Mohammed Al Mohatresh gave me permission through Mansur to use his excellent photo of a juvenile bird shown below on my website.